I am an avid supporter of every client I have. In fact, some of my clients became my clients because I was so excited about the work they do I insisted they simply must let me work to help them show their best. TJ Edwards and Sons is one such example. About a year ago, I approached Leslie Edwards, who handles the office at TJ Edwards and Sons about the amazing work Tom and Sons had been doing. Their website was a single page with a few sparse photos and phone number. 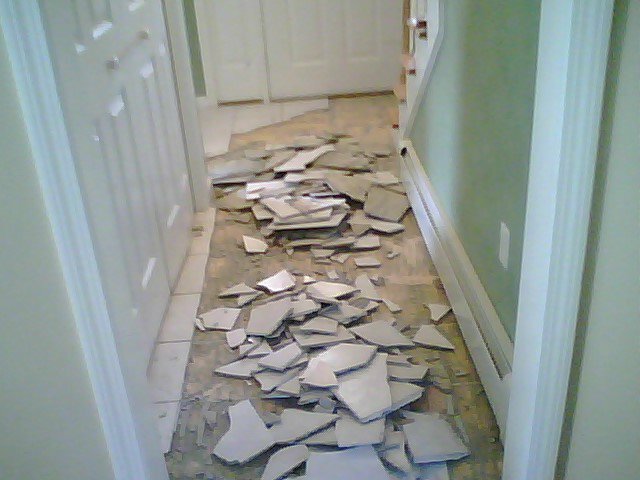 I was so amazed at the quality of work I asked if we could work together on their website, and in turn, if I could pay for their nh construction services to replace my kitchen linoleum with tile. 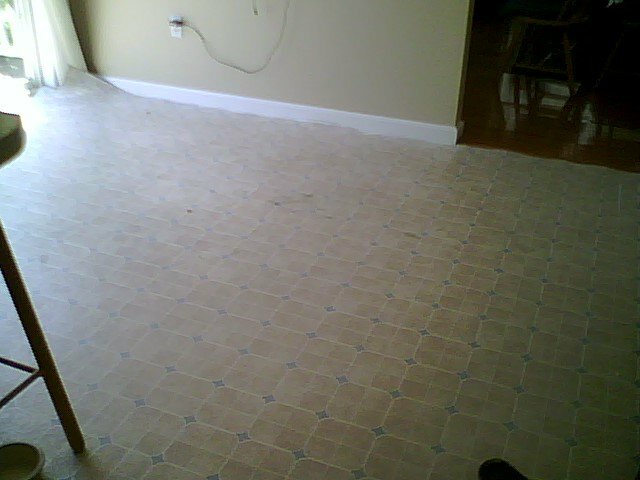 I have included some before, during and after shots of my kitchen as it went through the process of removing 10 year old sub-floor and linolum, and finally new ceremic tile. 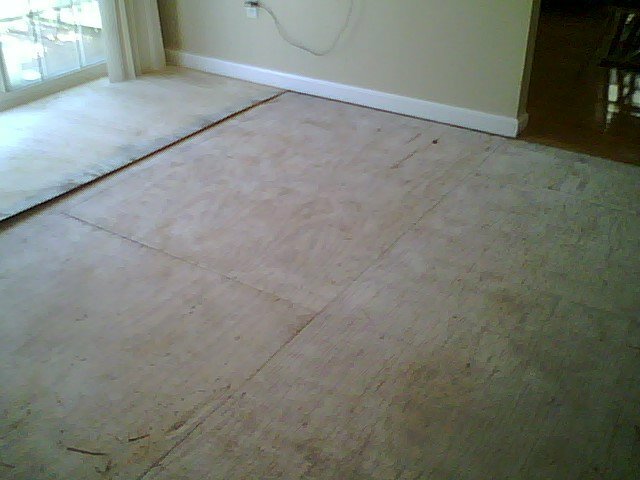 I can't begin to explain how amazing this floor looks. My kitchen and foyer look bigger and the craftsmanship is second to none. Another thing that really struck me was how professional, courteous and informative Tom was. I am by no means a tiling expert, so I had no idea what product was better than the next - Tom provided me with information on getting the best quality products that would not only do the job, but preserve it with as little future work as possible - which is fantastic because I have enough to do without having to re-seal grout every few years or worry about having it stain. I would HIGHLY recommend giving TJ Edwards and Sons a call. 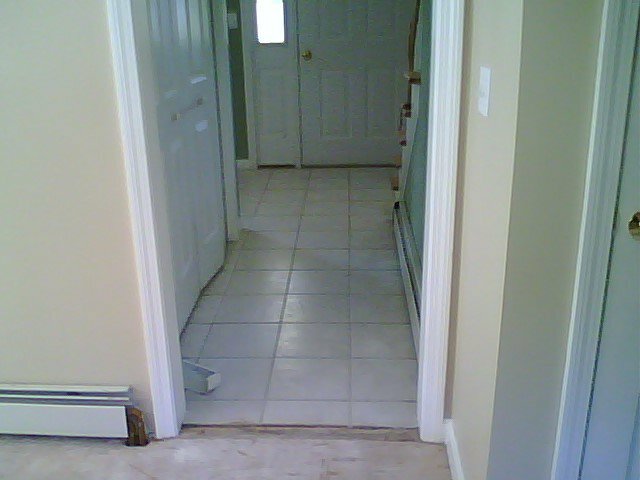 I am so pleased with the results I already spoke to Tom about some other projects coming up in the future - from masonry work, wood stove repair/cleaning and after seeing the professional quality job on the tile, he may end up building that bar out back! Please check them out online or give them a call (603-887-4711) and let them know Andy sent you. They'll be sure to take incredible care of you.